I’ve often written about my travels in Switzerland, usually about the standard attractions: mountains, snow, architecture, and (of course) naked people. Okay, maybe the naked people aren’t an attraction. That’s not a complaint about their looks, but about the mindset of folks who would go so far to see a few body parts. 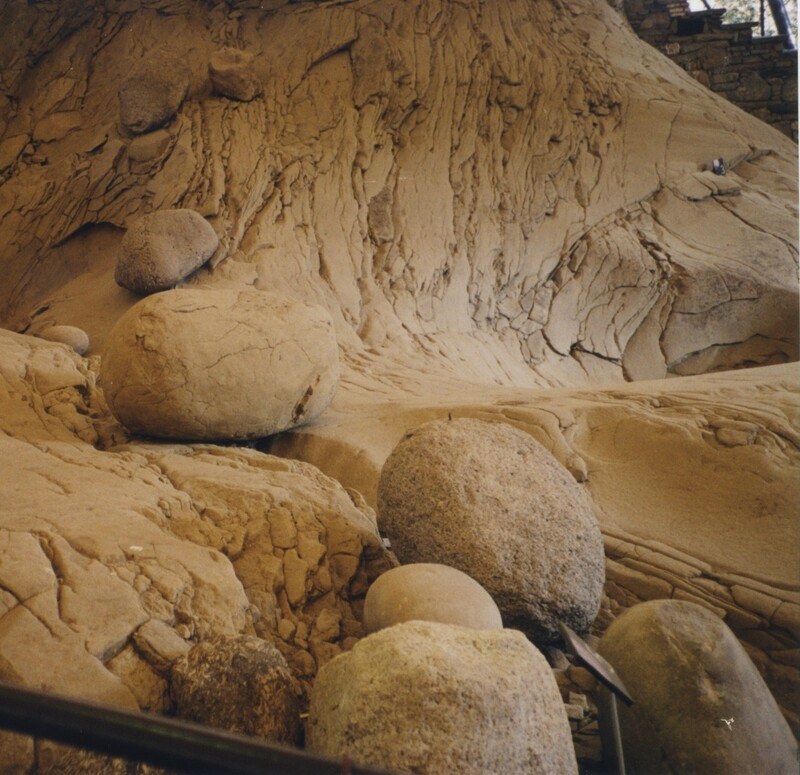 To judge the rocks’ size, compare them to the staircase in the upper right corner. Get moonstruck by geology today. Snow is overrated. FYI: I live in the South. These days, we all think snow is overrated. That’s as true in the forest as it presumably is at the urologist’s office. Truly, there are many spectacular rocks. Glad you included the stairs for scale. Thanks. It’s one of those things that’s always fun.